Floor space, a resource most facilities managers dole out sparingly. There seldom seems to be enough for all the equipment and operations that comprise a modern industrial operation. Siemens, globally recognized leader in the design and manufacture of variable frequency drives, offers its latest version of the Perfect Harmony GH180 variable frequency drive to reduce the required footprint by up to one third. The drive includes a transformer cabinet, cell cabinet, and cooling cabinet. Programming has been simplified and reduced, along with component count and required connections. A number of other enhancements increase reliability and reduce the need for maintenance. 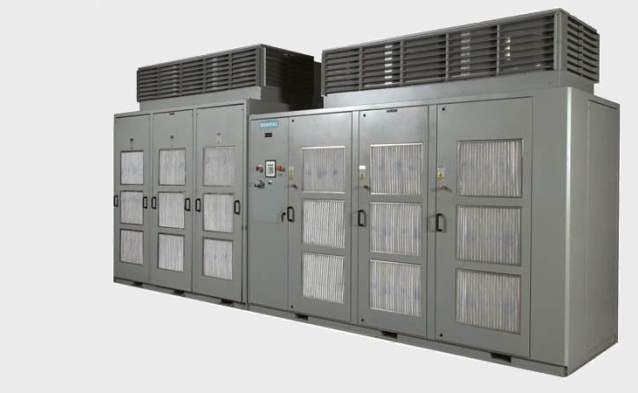 The units are available for medium voltage applications and come in air-cooled and water-cooled variants. Share your motor drive requirements with product application specialists, combining your first hand facility knowledge and experience with their product application expertise to develop effective solutions. Siemens Perfect Harmony Medium Voltage Drives from Instrument Specialties, Inc.